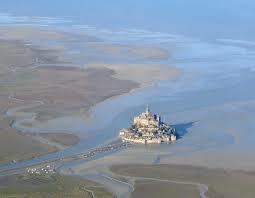 The incredible island of Mont Saint Michel is a sublime example of angelic influence in Christian Civilization. 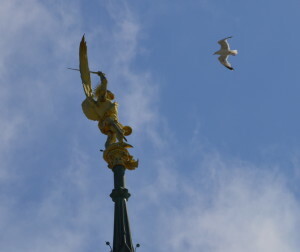 The small patch of land lies in a bay off the coast of Normandy, France, and has held a Catholic presence since the eighth century when Saint Michael the Archangel appeared and requested that a church be erected there in his honor. Over the centuries, the small church was expanded to an abbey hosting acommunity of Benedictine monks, then to a monastery with crypts and cloisters, and eventually, to a strategic military position with defensive fortifications and a medieval village. The mount’s surreal beauty provokes great joy and awe. From the coast, the tower is visible miles away, and at that hazy distance appears like a fantastic mirage more than a solid stronghold. This idyllic view invites marveling souls to turn beyond worldly considerations, and contemplate higher ideals. The harmony of the military fortifications and the religious abbey perfectly honor Saint Michael in his different attributes. He is the one who rallied the angelic hosts with the cry of, “Who is like unto God?” and cast the rebellious angels along with Satan out of heaven. According to tradition he is also one of the angels who stand before the throne of God singing eternal praise. 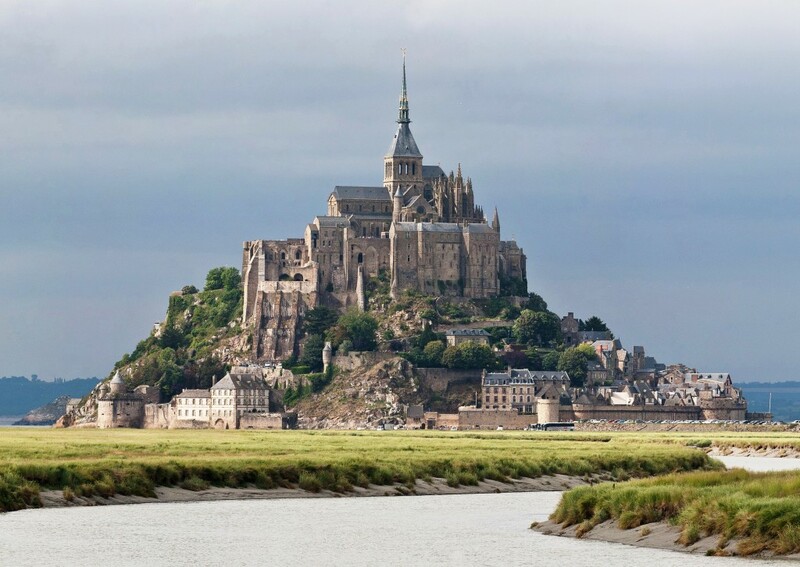 In a word, Mont Saint Michel’s transcendent beauty is an example of divine grace. 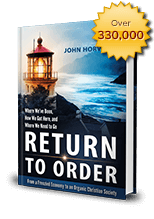 Grace is the created participation in the uncreated life of God. 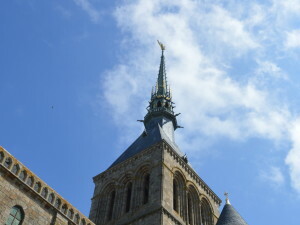 When men correspond to the grace of God, the great marvels of history are worked and angelic edifices such as Mont Saint Michel are built. This entry was posted in Featured and tagged sublime by Evan Olwell. Bookmark the permalink.